Federal and local law enforcement said they found 18-year-old Sol Pais, who was dead from a self-inflicted gunshot wound at the base of Mount Evans. JEFFERSON COUNTY, Colorado — The threat to Colorado schools and the metro area is over after law enforcement found 18-year-old Sol Pais with a self-inflicted gunshot wound near the base of Mount Evans. Law enforcement confirmed to 9Wants to Know that Pais had been found late Wednesday morning. She had expressed an "infatuation" with the 1999 Columbine school shooting and purchased a shotgun near the school shortly after arriving in the state earlier this week. Under Colorado law, individuals need to be at least 18-years-old to buy a shotgun. They must be 21 to purchase a handgun. 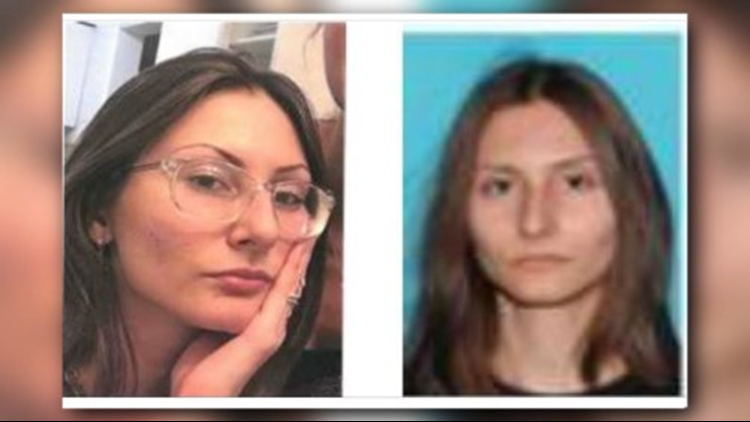 She was then "taken" to the foothills in what was described as a "for-rent vehicle," according to FBI Denver Special Agent In Charge Dean Phillips. That's where law enforcement found her body. Sheriff Rick Albers with the Clear Creek County Sheriff's Office — where Pais' body was found — said she was found around 10:50 a.m. a few miles up I-5, a trail in the area. That trail will be closed for some time. He said law enforcement found her by following up on tips from the FBI and Colorado residents who called them. Albers also said that rumors Pais was found naked are patently false. She was found alone. Deputies said they don't know why she was in that area. Investigators were heading up there around 1 p.m. to continue their investigation. The FBI in Denver was first alerted to Pais on Tuesday morning from the FBI office in Miami. Denver FBI agents began investigating the threat and determined it was credible. They then started notifying local law enforcement. Pais was believed to have made unclear and nonspecific threats against schools in the Denver metro area. In a press conference Tuesday evening, Phillips described the search effort as a "massive manhunt," involving multiple law enforcement agencies from across the Denver metro area. The Bureau of Alcohol, Tobacco and Firearms confirmed to 9Wants to Know that Pais purchased the shotgun and ammunition legally in Littleton. Shrader said at a press conference he thought she purchased the weapon near Columbine High but would not say where. Colorado Gun Broker in Littleton told 9Wants to Know they sold the gun to Pais — the gun store said she passed a background check and that they "had no reason to suspect she was a threat to either herself or anyone else." Josh Rayburn, the owner of Colorado Gun Broker, said Pais "seemed very normal" when she bought the gun and mentioned she was in town visiting friends and possibly going turkey hunting. "She left here and said she was going to go shooting," Rayburn said. "... it was a normal transaction. There were no flags at all." During a news conference, the FBI said Pais bought the gun on Monday but the agency didn't become aware of potential threats until Tuesday morning. Late Tuesday night, several school districts, including Jefferson County, announced classes were canceled Wednesday. At the time, schools were still on high alert due to Pais' vague threats. Several school districts have said they were still assessing the situation and would make a call about the rest of the week later on Wednesday. "The Department of Public Safety recommends all schools in the Denver metro area conduct a lockout and controlled release immediately," the tweet said. Jefferson County, where Columbine High School is located, held a press conference with Sheriff Jeff Shrader, Superintendent of Schools Dr. Jason G. Glass and Executive Director of JeffCo Schools Safety and Security John McDonald late Wednesday morning. Also in attendance near the end was Frank DeAngelis, the principal at Columbine during the 1999 mass shooting. He said the gathered media that he was actually at the school when it was placed on lockout Tuesday. He expressed his feeling that there were so many more safety procedures since his time at the school. He also began checking on the 15 or so staffers who were still at the school since the 1999 shooting. McDonald said that since the Columbine shooting, there have been so many more procedures put in place to protect students. "We've learned a lot of lessons," he said. "It's part of the learning, part of the training we do each and every day." He also wanted to put out a message to anyone interested in Columbine and the shooting there. "We are not a place to come visit if you are not a student," he said. "We are not a tourist attraction. We are not a place to come gain inspiration." Shrader explained that law enforcement believed she was in the area alone and without help. "One of the goals of public safety is not just to reduce crime," he explained near the tail end of the presser, "but reduce the fear of crime."